Does your employer have the right to limit where you decide to work next? That question has been at the center of a debate on Beacon Hill for a decade now, and if you are just tuning in — well, it’s a little late to have any effect on the outcome. Just before the stroke of midnight on Tuesday, legislators agreed on new rules that will apply to many employers and employees in Massachusetts. Next step: Governor Charlie Baker’s desk, for it to be signed into law. The new rules pertain to contracts called noncompete agreements that employers sometimes require employees to sign. These prevent you from quitting to work for a competitive company without waiting for a year or more — perhaps sitting at home watching a lot of Netflix? I’ve heard of teenage summer camp counselors being asked to sign them, and they remain in effect even if you’ve been laid off. It frees students and most employees paid by the hour from being subject to noncompete agreements. It limits the length of the contracts to a maximum of one year, and nullifies them if you’re part of a layoff. It also requires that an employer let you know about the noncompete when making you a formal job offer, or at least 10 days before you start working — as opposed to including it with a stack of other paperwork for you to sign on your first day. But the law is mostly a victory for employers who like the status quo, especially when it comes to Massachusetts’ highly trained knowledge workers — a chemist or a software programmer, say — who might want to take their skills from a big company to a startup to help it grow, or perhaps launch a business of their own. It will also create new confusion for both employers and employees — and new opportunities for litigation. None of the attorneys I spoke with were worried about their noncompete-related business drying up. I asked Bauer and a few other attorneys to help me think through five scenarios about how the pending changes will affect employers and employees — starting Oct. 1, when they would become law. ■ Scenario 1: A minimum-wage warehouse worker takes a new job and signs a one-year noncompete after Oct. 1. A few months later, he quits on a Friday and starts working for a competitor on the following Monday. Can the first employer prevent him from taking the job with the competitor? Says Christopher Lindstrom, a partner at the Boston firm Nutter McLennan & Fish: “An employer would not be able to enforce this noncompete.” That’s because the new rules state that employees considered “nonexempt” according to the overtime laws of the Fair Labor Standards Act can’t be bound by noncompete agreements. “This means minimum-wage workers, and likely any warehouse worker even if he or she earns more, cannot be subject to a non-compete,” Lindstrom says. ■ Scenario 2: A sales representative who signed a two-year noncompete this month decides to leave her job in November. She assumes the new law means that two-year noncompete agreements will no longer be enforced by Massachusetts courts. She waits one year and a day before joining a rival of her former employer. ■ Scenario 3: A marketing consultant working for a new apparel company in Boston is not an employee, but an independent contractor billing the client at $100 per hour. Despite that, her client asks her to sign a noncompete agreement that will last for one year, and she does. The agreement says the client will pay her a $5,000 fee if it wants to enforce the noncompete. After three months of consulting, she decides to stop working for the company, it pays her $5,000, and asks her not to consult for other apparel companies for a year. That’s probably acceptable under the new law, Beck says. While in the past independent contractors haven’t typically been asked to sign noncompetes, he says, the new legislation creates the possibility. “This almost suggests to employers, ‘Think about doing it — it’s available to you,’ ” he says. ■ Scenario 4: An employer hires a new employee in October, and she signs a noncompete in connection with the start of her employment. In December, the employer needs to lay off two employees. The employer can let go the newest employee, or one who signed a noncompete upon joining the company in October 2017. Who gets laid off? If preventing a laid-off employee from jumping to a competitor’s shop is important to the employer, Bauer says, “the employer may want to lay off those who signed noncompetes before October 2018. 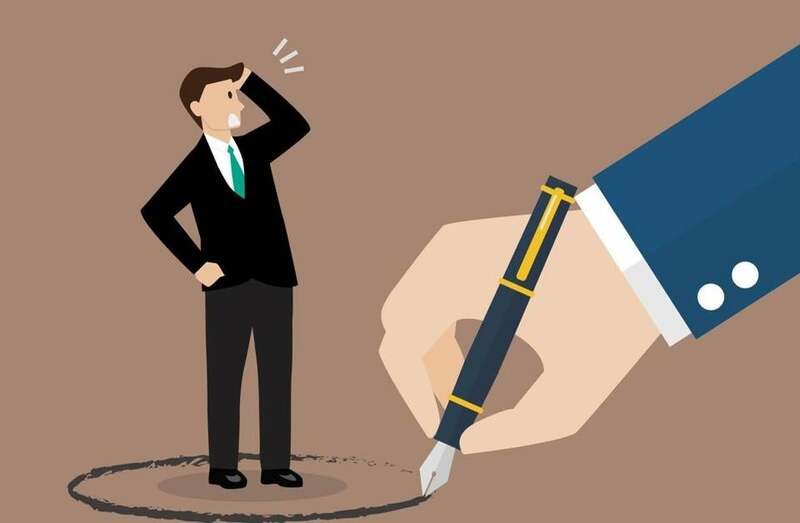 The noncompetes of employees signed after 2018 who are laid off or terminated without cause are unenforceable under the new law.” That creates an incentive to lay off the employees who signed the “old school” noncompete contracts. ■ Scenario 5: An employer wants all of his employees, old and new, to sign a standard one-year noncompete agreement. The new law requires either 50 percent pay for employees during that one year — or “mutually-agreed upon consideration.” The employer offers each employee a $1 bonus for signing the new contracts. I would have liked to see a simpler and more streamlined change to noncompete agreements: Nix them entirely. That didn’t happen, and a “good deal of litigation” is a good deal for one constituency: law firms.